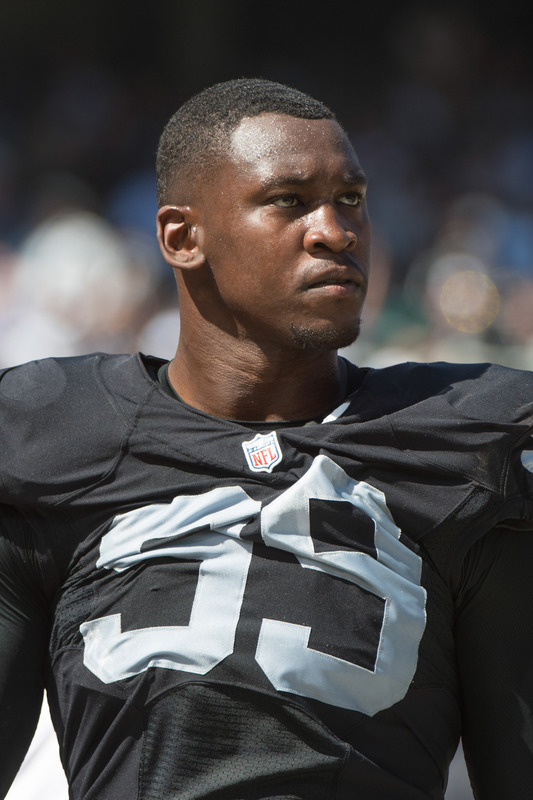 Aldon Smith‘s time with the Raiders has officially come to an end. On Monday, the Raiders announced that Smith has been released from his contract. Smith was named as a suspect in an alleged domestic violence incident over the weekend and cops were searching for him as recently as Sunday night. On Monday morning, TMZ Sports learned that Smith has checked into rehab. Given his history, the Raiders didn’t have to think hard about moving on from Smith. Smith posted 3.5 sacks for Oakland in nine games during the 2015 season before being hit with a one-year suspension. He also served a nine-game ban in 2013 for violating the league’s personal conduct and substance abuse policies. Despite all of that, GM Reggie McKenzie handed Smith a two-year, $11.5MM deal in the spring of 2016. The former first-round pick has not seen the field since November 15, 2015. At this rate, he may never don an NFL jersey again. He’s already under suspension for previous off-the-field incidents, so he’s nowhere near the radar of any club at this time. Smith stands as one of the greatest wastes of talent in recent NFL history. In his second year as a pro, Smith amassed 19.5 sacks and 66 total tackles for the 49ers, en route to Pro Bowl and First-Team All-Pro selections. Even in an abbreviated 2013 campaign, Smith tallied 8.5 sacks and 34 tackles in 11 contests. This guy was a beast. To bad he can’t get his life together. Put this idiot behind bars. Rehab can’t fix stupidity.